Are you finding that one (or more) of your videos is in a file size that is way too large for you to manage, store, or transfer it easily? Although video file sizes can be prohibitively large and tricky to handle – the fact of the matter is that there are several ways they can be reduced. To get started and reduce the file size of any videos, you should go over each one of the options listed below. The codec that your video format uses is what affects the type of compression that is used, and some codecs have better compression rates than others. Typically newer codecs are much improved in that regard – and for example the H.265 codec can reduce the file size of H.264 videos by 50% without affecting its quality. While this may seem like a great option to reduce the file size of your videos while leaving its quality untouched, there are actually several caveats. Mainly there needs to be a codec available that provides better compression rates and will be compatible with the device or platform the video will be viewed on. That can be problematic because many newer codecs don’t enjoy the same level of support as older ones. Considering H.265 has started to be more widely supported of late however, you should check to see if it is an option –and can use it if it is. In order to transcode your video you’ll need a movie converter that supports the codec you intend to use. For example you could try Movavi Video Converter if you’re looking for one. In contrast to transcoding the codec, reducing the bitrate is a more universal way of being able to reduce the file size of videos – but it will affect the video quality. Because the video bitrate is the amount of data it uses each second, reducing it will directly reduce the video file size. At the same time because it is using less data it may not be able to reproduce the video with the same quality during playback, and different types of compression artifacts may appear. Considering its potential impact on the quality of your videos, care should be taken when reducing the video bitrate. Normally the best approach is to reduce it gradually, and observe how it affects the video quality – with the aim of eventually finding an acceptable compromise. While technically this won’t help you to reduce the file size of an entire video, sometimes an easier solution is to extract clips containing the parts you need from a longer video. Because the clips will be shorter, their file size will be smaller. As you can imagine this method works best when you only require a small part of a longer video. If that’s the case, it may actually be the perfect option. In fact it can be used in conjunction with either of the methods described above as well. For instance you could extract a shorter clip from the original video, and then reduce its file size further by transcoding it or reducing its bitrate. 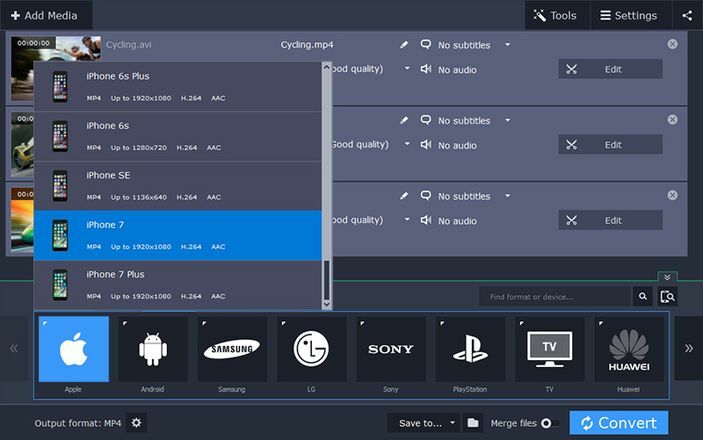 Between the three options listed above, you should be able to find at least one way that you can reduce the file size of your videos and make them easier to manage, store, or transfer. If you can apply more than one of them to your video, it is up to you to decide whether it is necessary to do so or not.